PARIS (Reuters) – French President Francois Hollande condemned the “savage” killing of 21 Egyptians in Libya by Islamic State and said France and its allies were determined to fight the militants. Egypt’s military said in a statement on state television on Monday that it had carried out an air strike against Islamic State targets in Libya at dawn, a day after the group released a video appearing to show the beheading of the 21 Egyptians there. 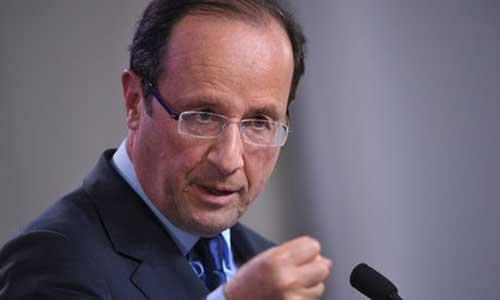 Hollande condemned the killings by Daesh, his office said in a statement on Sunday, using an acronym for Islamic State. “He expresses his concern about the extension of Daesh operations in Libya and reminds of the determination of France and its allies to fight against this group,” his office said. Egyptian President Abdel Fattah al-Sisi warned on Sunday that his country would respond to the “criminal killings” as it saw fit.